As many of us plod our way through February, traipsing over already forgotten New Year’s resolutions, the UK’s festival planning season is in full swing, preparing some of the biggest live music, parties and events of the year for the summer of 2017. Festivals and outdoor events take one hell of a lot of organising. 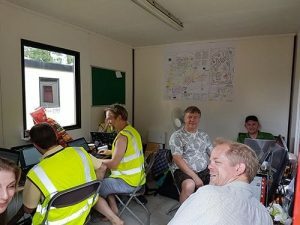 For the organisers, keeping track of a multitude of processes – from ticketing and guests to volunteers and crew, catering, performers and more – they can use all the help they can get. 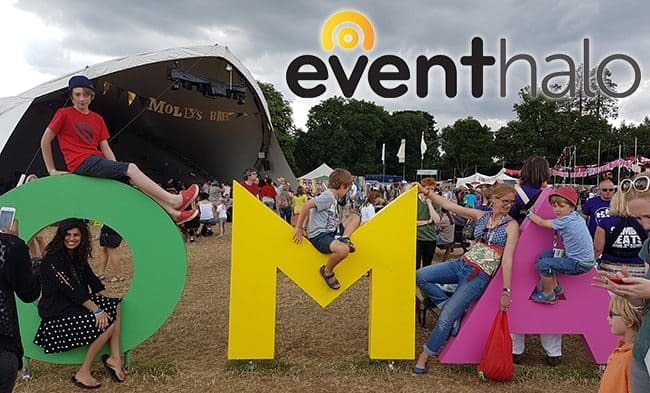 Bath-based EventHalo is the new app that promises just that – by consolidating the key management features of outdoor events and festivals into one handy app with a tonne of features. You could even say it’s a little like having your very own pocket-sized project manager that never gets tired, or demands to be paid for that matter – as the app is totally free. 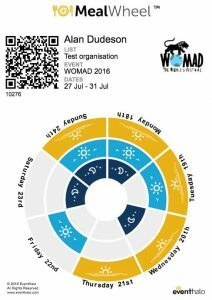 With users including internationally renowned world music festival WOMAD, as well as Outlook Festival 2016 and the Department for International Trade, it’s already proving to be a hit across an array of events. 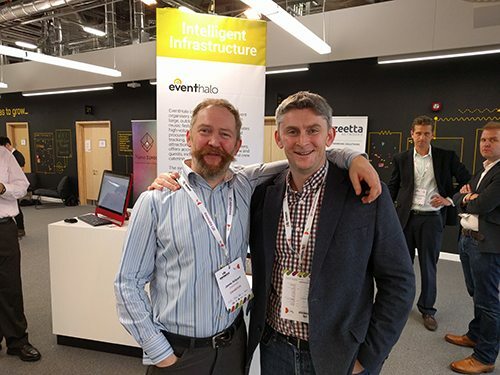 So, for all those project and event managers on the edge of their seats and app lovers alike, we caught up with the app’s co-founder Jamie Ridyard (pictured right with fellow co-founder Tony Solon) to get the lowdown on all things EventHalo. TechSPARK: Why did you create EventHalo? Jamie Ridyard: I’ve always loved the atmosphere of big events and I know my co-founder, Tony, feels the same. But it was only when we learned how big the event market is – £2.2 billion in outdoor events in the UK alone – we considered starting our next business in it. We had just finished working on two previous businesses so, as well-trained entrepreneurs, we began 3 or 4 months full-time research looking for a niche in the industry. Tony’s PhD in mobile tech and my track record in automating operational processes served us well, and the proximity of such great events as WOMAD, Glastonbury, Badminton and Boomtown in the South West sealed the deal. TS: What’s the aim of EventHalo? How does it work? JR: EventHalo is enterprise software designed primarily for outdoor events and large events. We have smaller and indoor events benefitting from the system too, but our strongest competitive advantage is in the large, outdoor market. They all share common services such as payment processing, invoicing and VAT, mass mailing & SMS, a form builder, and document storage. We have some events using all these components, with thousands of tickets, volunteers and stock items, plus hundreds of performances, vendors and suppliers. The sense of control the event organiser feels after they’ve adopted all these components is hard to overstate. And the workflows are integrated e.g. food sellers in our directory are notified of new opportunities to trade, they submit their stored profile to the online application form, food safety documents upload into common storage, the extras rate card pushes data to order management, attendance is regulated by the ticketing app, and staff catering by the MealWheel app (pictured left). This system-wide integration saves lots of time, reduces errors and avoids a proliferation of inconsistent systems. Tony designed the system as an ecosystem from the get-go, so the third-party apps can push or pull data and deliver a seamless experience with our apps. We’re working with half a dozen third parties at the moment from multinationals to local app developers. I guess there isn’t a lot of enterprise software that applies our free-to-use model so that usually grabs clients’ attention pretty fast. We are keen on business model innovation as much as product innovation, and this is certainly helping business growth overall, despite adding a certain amount of complexity to our planning. One of the really nice things about the free-to-use model is that it aligns our interests with our clients’, and they really appreciate that. TS: You also run a company called LifeJak – is EventHalo a totally new concept or a rebrand? JR: Right, people who have watched our development over the last few years may be a bit confused! Lifejak.com is a software development company; EventHalo.com is a product. EventHalo is created and owned by Lifejak, but Lifejak also has external clients who it develops software for. If you need a minimum viable product (MVP) developing, or business process automation software, contact Lifejak.com. 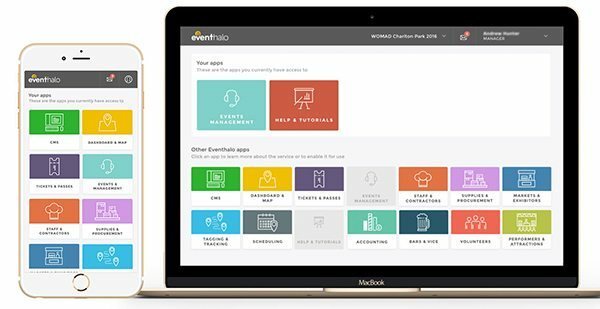 If you want a free-to-use event management system, go to EventHalo.com. When we started Lifejak, it only had one activity: building an event product. Then we discovered a demand for our software development and problem-solving skills – so we needed an independent and more suitable brand name for the event industry product and finally settled on EventHalo. TS: We see you entered the Venturefest pitching competition (pictured right) and made it to the final! Why did you enter and how are you finding it so far? R: Yes, thanks, we were very pleased to be selected for the final. We spent 18 months researching and building EventHalo, leading up to the first full rollout at the end of July at WOMAD 2016. Since then we’ve been running trials at a wider range of events to make sure everything is generic and re-usable. Now that the product, market and sales process are proven, we’re ramping up sales and marketing. Add into the mix that we’ve assembled the best team I’ve ever worked with, and it’s a perfect time to invite investors to help us deliver on the promise the product is showing. In addition to Venturefest, we’ve also just won second prize for Best Technology in the Eventex Global Event Awards in Dublin, and we’re shortlisted for Best Event Technology in the Event Production Awards in London in March, so we’re getting great market validation in the first few months since launch. Being able to grow our sales and professional services teams so we can onboard clients faster is the goal. You might like: The 11 finalists of Venturefest Silicon Gorge pitching competition 2017 announced! TS: What are your hopes for EventHalo in the coming year and beyond? JR: We’ve had over 100 signups in these first months since we started marketing. This is way higher than we anticipated. Also, the type and sizes of events signing up have been broader than we expected. What we are still discovering is where our sweet spot is, so we can fully target that segment first. This is a core goal for the first part of the year. Beyond that, we’re currently enjoying working with the Association of Independent Festivals events, but we’d like to build relationships with the wider market, including Festival Republic events, the family of equestrian events, air and car shows and, later in the year, reach out to larger international events. TS: What advice would you give to others when it comes to running a startup? JR: My only useful one-line advice for building a successful company is that there is no useful one-line advice. It’s complex and hard. My one paragraph advice is this: nothing is more important than management focus. Well, management focus and luck. Actually, management focus, luck and a great team. See what I’m doing here? There are quite a few things that you need to get right. Getting any of them wrong may lead to failure. Getting all of them right, at the right time, needs comprehensive planning and real focus, and still doesn’t guarantee success. Only the most arrogant would deny that you also need some luck. This may be why committed entrepreneurs will keep pivoting until they roll a six. You also need a vision to sustain you on your journey. 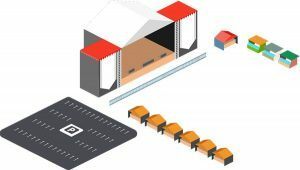 The indoor event market is dominated by CVent, a $1 Billion company with $100m annual revenues – but it doesn’t work well beyond the safety of a conference centre. Our firm goal is to become the CVent analogue for the £2 billion UK outdoor event market, then expand internationally. TS: Are there any particular events you’re particularly excited to be partnering with this year? JR: We love WOMAD and are really pleased they are extending their use of EventHalo this year. They shared so much behind the scenes and we think it’s a really great event. Some people used to associate it with pan pipes and obscure niche acts, but the artist management team are really sophisticated – the program now blends acts that please their long-term fans alongside up-and-coming alternative music that teenagers love discovering too. Beyond that, it’s not really fair to choose one client over another – they are all so interesting in differing ways – from much-loved boutique festivals, to fantastically immersive events, to city council events teams adopting the system across their entire portfolio. Finally, and I can’t mention the name yet, we just signed up one of the world’s biggest outdoor events – let’s just say it’s quite local. Was that a six we just rolled? In summary, we’ve every size and type from 100-attendee C-suite corporate events, 500-attendee mini-festivals, 2000-attendee indoor trade shows, 5000-attendee boutique festivals, 30,000 mainstream events, up to 100k+ mega-events. We’re planning to keep up the momentum. Many thanks to Jamie for taking the time to chat to us about EventHalo. You can find out more about the app and software by visiting the EventHalo website or by following them on Twitter here: @Event_Halo.